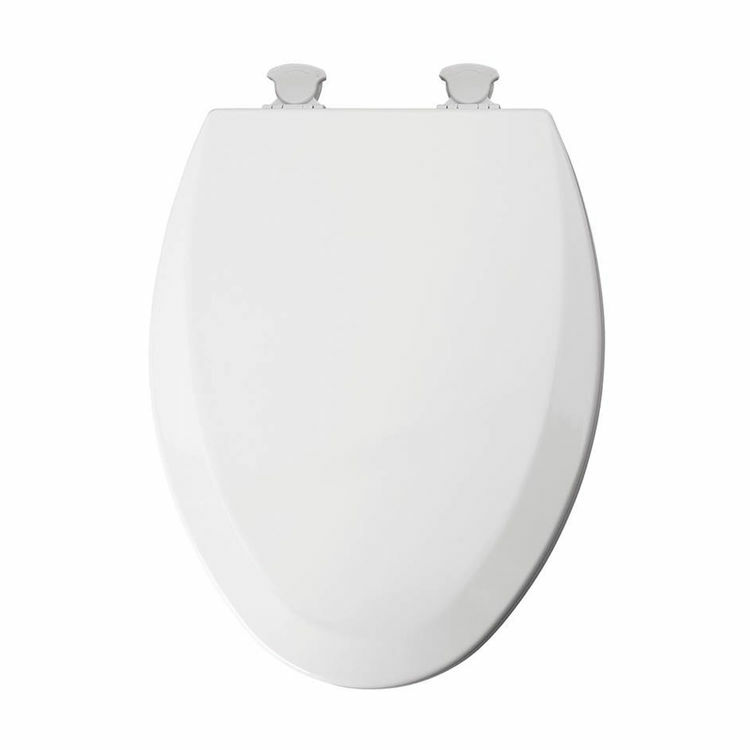 This Mayfair 146EC 000 Elongated White Molded Wood Toilet Seat is brought to you by Bemis Manufacturing. Its white finish brings a clean and brilliant accent and matches easily with the other accessories. This toilet seat is the perfect choice for any residential bathroom application. Other finishes available to match any bathroom decor are biscuit (146EC 346) and bone (146EC 006). Featuring an Easy-Clean and Change hinge, it allows complete removal of the seat from the bowl for easy cleaning. It is made of molded wood which provides stability, with an excellent high-gloss finish that resists scratching and chipping. This Mayfair 146EC 000 is suitable for use with elongated bowls. Mayfair brand is one of the bath industry's most well-known brand created by Bemis Manufacturing Company. Mayfair continues to provide and sell seats in department, hardware, and specialty chain stores.? Shipping Dimensions 14.5" x 9.0" x 19.0"
Shipping Dimensional Weight 14.06 lbs.